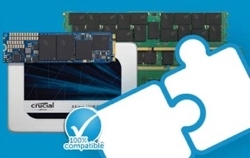 Take the guesswork out of upgrading your Mac with Crucial® memory for Mac systems. Since Apple® computers often have very specific memory requirements, including particular component densities, speeds, and SPD programming specifications, it’s important to use memory that’s engineered for your Mac. 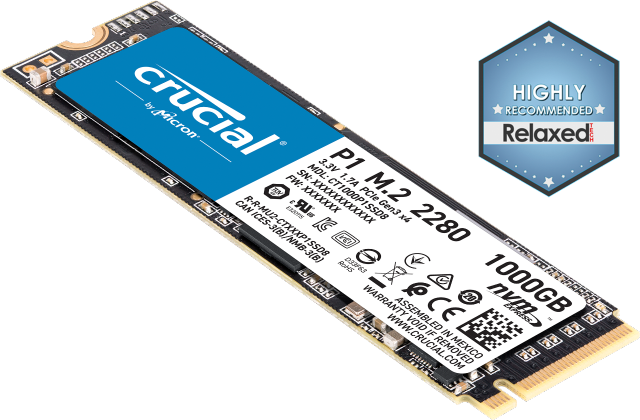 With more than a decade of experience manufacturing and developing memory for all types of Apple computers, Crucial makes adding memory the easiest way to upgrade your Mac. When you use your Mac system, you expect intuitive, dependable performance. And if you’re a Mac Pro® user, you expect mission-critical workstation reliability. Expect the same out of your memory. Every Crucial module that leaves our doors has been extensively tested at the component level for voltage and temperatur resistances, signal integrity, and software compatibility. A memory upgrade is the fastest, easiest, and most affordable way to get more performance out of your Mac system. Standard DDR3 modules help Mac systems reach speeds up to 1600 MT/s, and DDR3L modules start at 1866 MT/s. Systems that support DDR4 memory technology, like the latest iMacs® , can get quicker responsiveness with faster speeds, bandwidths, and performance. Unsure how to install memory or have an important question about your Mac system? Let the Crucial experts help! They know Apple systems inside and out and enjoy providing helpful, friendly technical support. Whether it’s phone support, videos, FAQ articles, or do-it-yourself install guides for more than 70 different Mac systems, Crucial has the resources you need to keep your system up to speed. Micron® quality - a higher level of reliability.